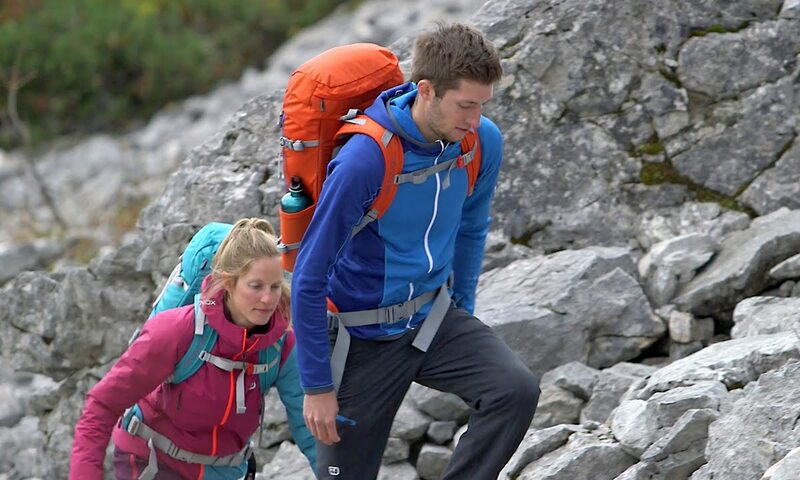 The TRAVERSE 28 S is a fully equipped backpack for men and women with short backs. The back system in this model is considerably shorter. The “S” in the name stands for SHORT. The TRAVERSE 28 S backpack is perfect for long day tours or multi-day tours. The ergonomically shaped shoulder straps and the broad hip belt ensure a balanced distribution of even heavy weights. In addition to a large main compartment, which can be accessed quickly via a circumferential zipper, this backpack has further compartments in the cover pocket and inside the backpack, as well as a slot pocket on the front. Your drinking bottle is always close at hand in the elastic side pockets. Features such as a rain cover and a clever hiking pole fastening are also included, as is hydration system compatibility, a hip pocket and a holder for sunglasses on the shoulder strap. The TRAVERSE 28 S is rounded off with images of Alpine emergency signals in the cover pocket.